As we had already reported, Xiaomi on Thursday launched its latest and the greatest flagship smartphone the Mi Mix 3 at an event held in Beijing China. The device comes with some really impressive hardware specs, which includes 10GB RAM, Four cameras, slider back panel housing the dual front cameras, Snapdragon 845 SoC and more. The MI MIX 3 features a magnetic slider back panel and on the front a beautifully designed true bezel-less display. Instead of placing the front cameras and the sensors on a Notch, Xiaomi has opted for the manual pop-up magnetic slider mechanism which can be slide out to bring up the cameras ad sensors. 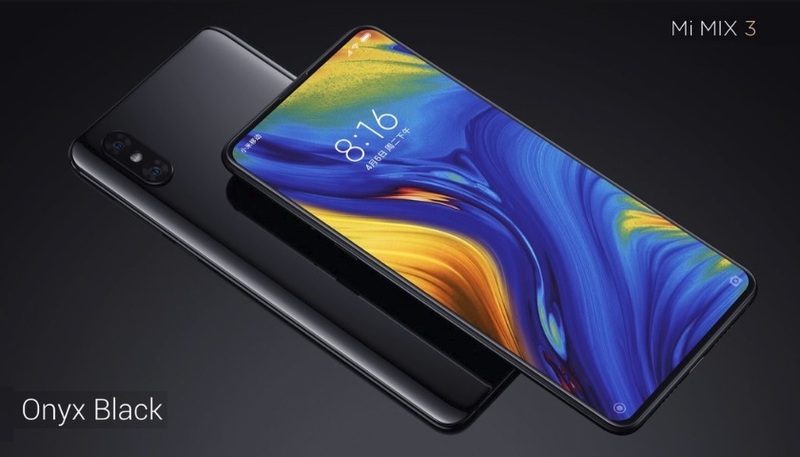 The Xiaomi Mi Mix 3 has been priced at CNY 3,299 (roughly Rs. 34,800) for the 6GB RAM + 128GB storage option, the 8GB RAM + 128GB variant has bee priced at CNY 3,599 (roughly Rs. 37,900), and the 8GB RAM with 256B RAM storage variant has been priced at CNY 3,999 (roughly RS. 42,100). Xiaomi has also launched a ‘Palace Museum’ special edition of the Mi Mix 3 with slightly changed design and accessories with 10GB RAM + 256GB storage. The 10GB RAM variant has been priced at CNY 4,999 (roughly Rs. 52,700), and will go on sale in November with Onyx Black, Jade Green, and Sapphire Blue colour options. The 6GB and 8GB RAM variants will on sale in China starting November 1. There is another variant that comes with 5G network support and will be made available in Europe next year. Mi Mix 3 pre-orders is now open to everyone in China, and the device will soon be available for sale via both offline and online stores. However, no Indian pricing and availability date has been announced yet. As I said above, the device comes with some outstanding features and specs. The phone features a 6.4-inch full-HD+ OLED display with 1080×2340 resolution, 19.5:9 aspect ratio, and 93.4 percent screen-to-body ratio. On the software side, the device runs on Android 8.1 Oreo based on MIUI 10. The phone also supports dual-SIM (Nano + Nano) slots. In the camera department, the Mi Mix 3 sports dual front ad rear camera setup, which includes two 12-megapixel wide-angle Sony IMX363 sensor with an f/1.8 aperture and a Samsung S5K3M3+ telephoto lenses with an f/2.4 aperture at the back. At the front the device sports a 24-megapixel Sony IMX576 sensor, and a secondary 2-megapixel sensor with selfie light support, AI features, including beautification and Bokeh effects. Other notable features of the Mi Mix 3 includes a OIS, optical zoom, AI background music, 960fps slow-motion, AI scene detection, AI bokeh, AI studio, and AI scene detection. The device also features a rear fingerprint sensor ad supports Google ARCore. It packs a 3,850mAh battery with 10W Qi wireless charging support.